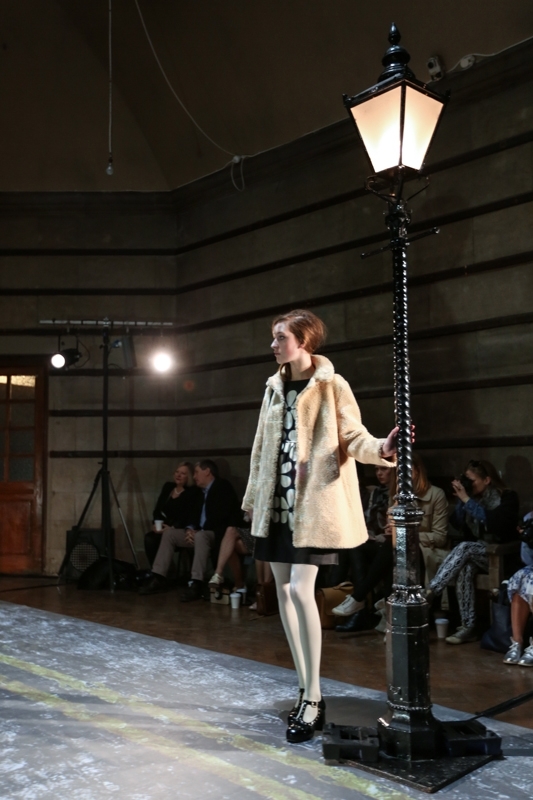 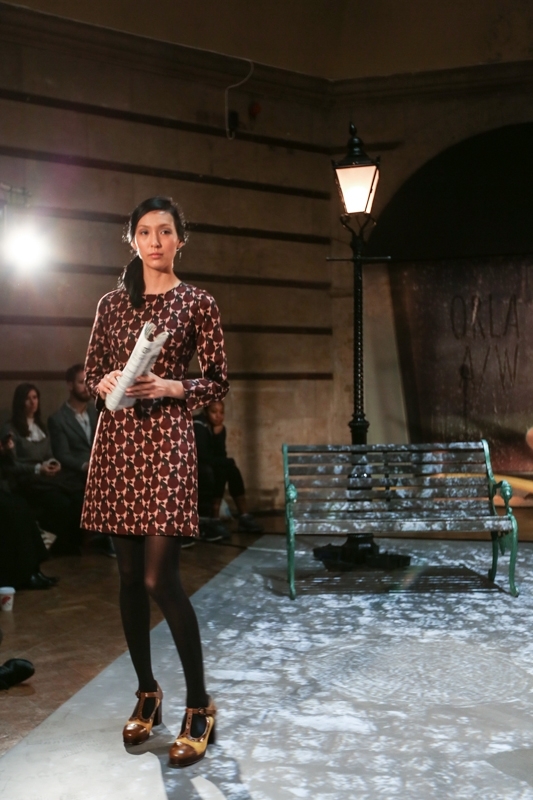 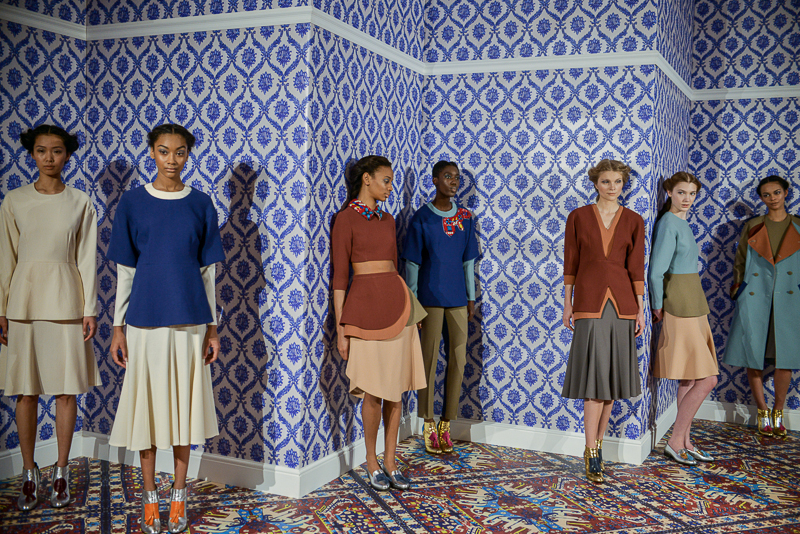 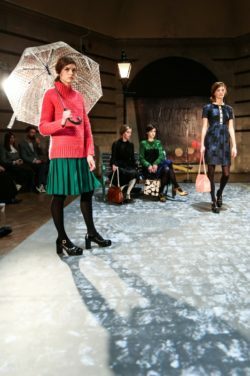 The Irish designer cast a spell upon onlookers at Old Central Saint Martin’s as she presented her fine assortment of retro designs. 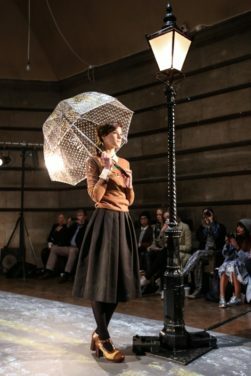 Guests trickled in to take their positions whilst absorbing the setting, which featured two lampposts, a bench and a daisy printed floor. 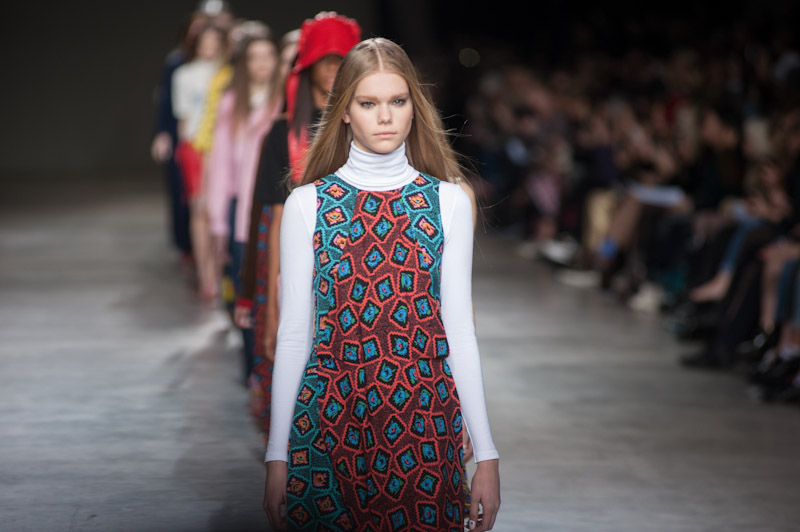 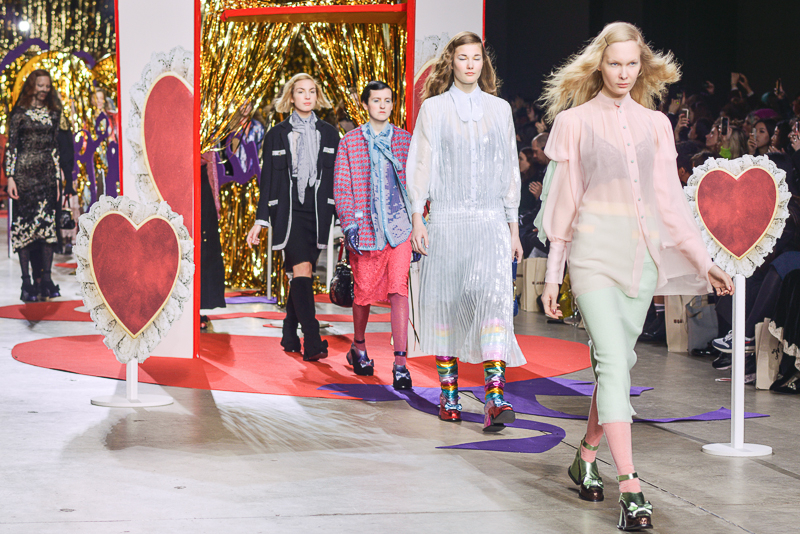 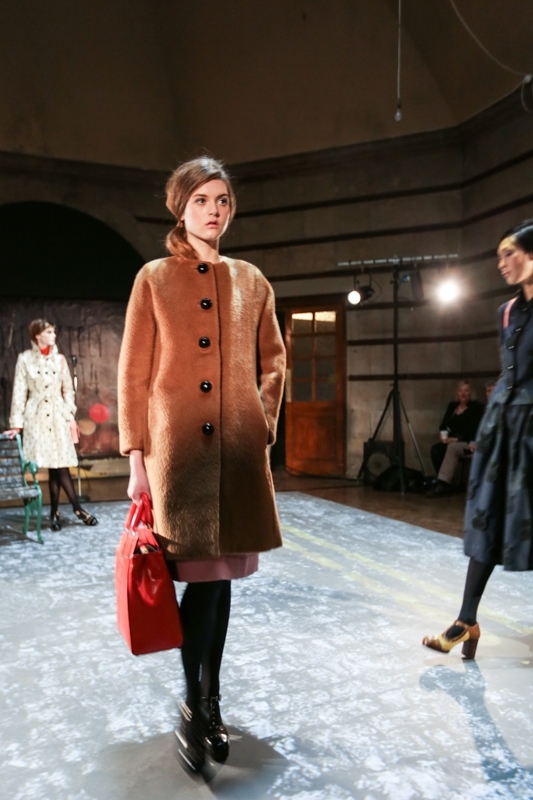 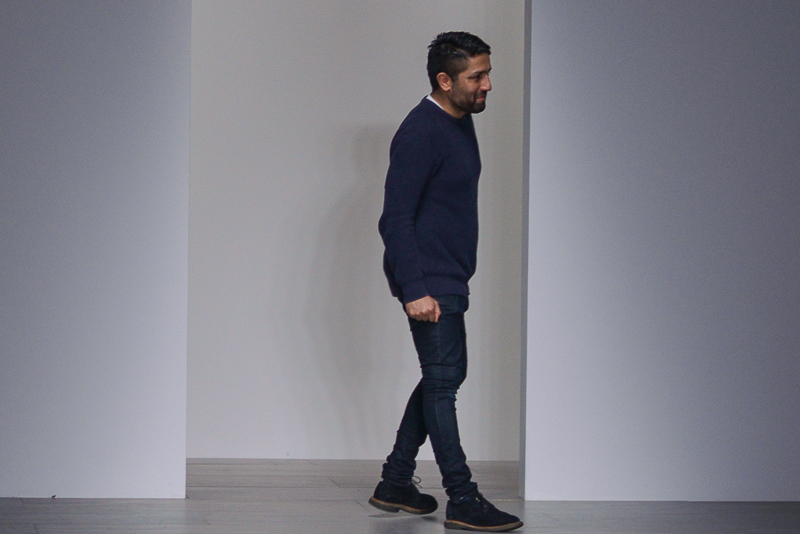 We expected a lively burst of swinging 60s models to hit the floor, but instead the sound of rain flooded throughout the venue, announcing the presentation and setting the sombre yet oh-so rousing mood. 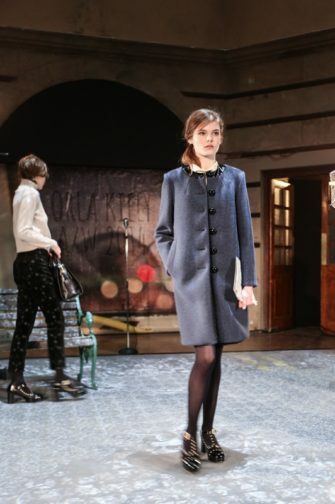 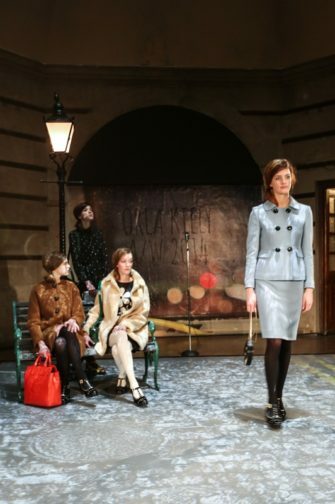 It was all about the coats, as trench coats and swing coats filled the floor broken up by a range of colours from pinkish pastels, baby blues to navy blues and browns. Props such as newspapers were featured in an attempt to keep the invisible rain from models’ heads. 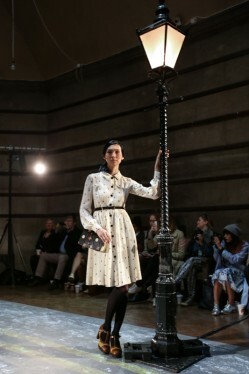 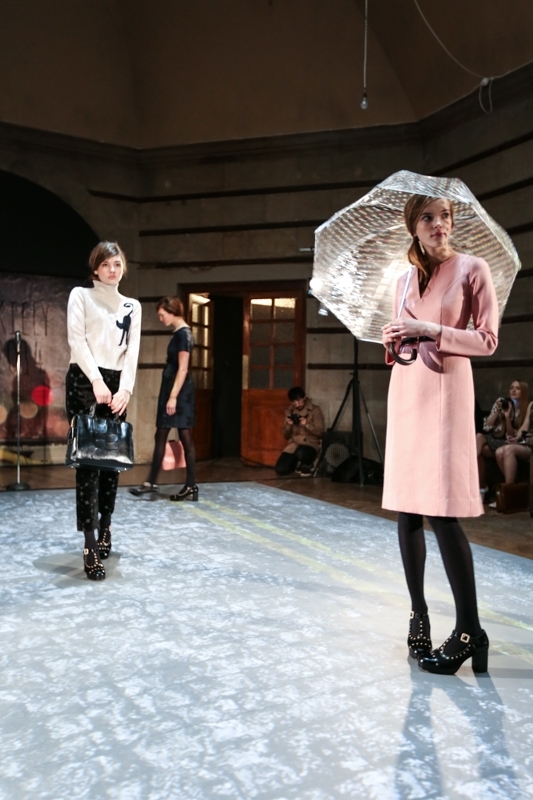 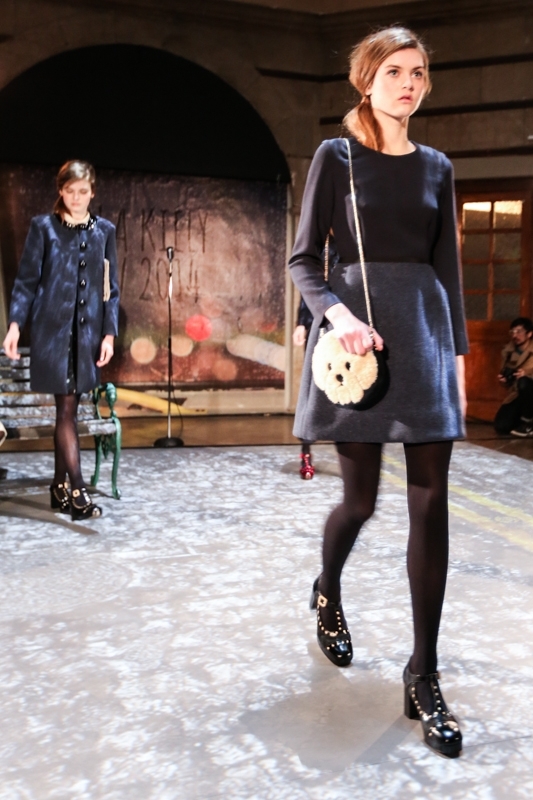 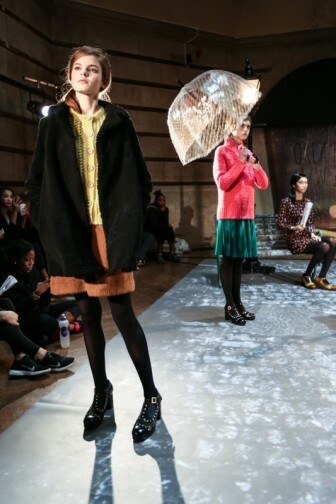 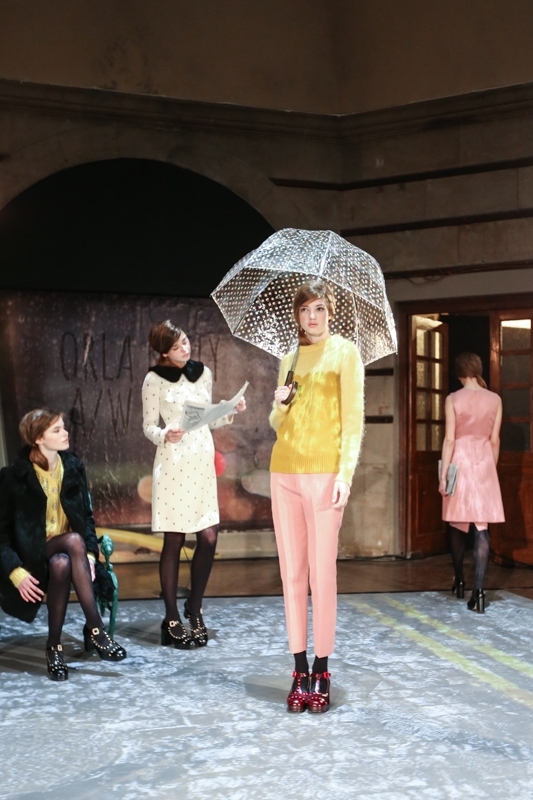 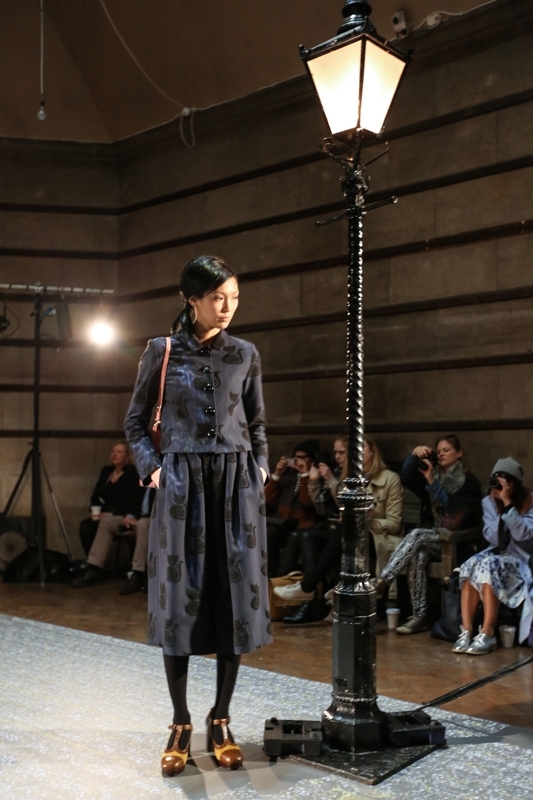 Large clear polka dot printed umbrellas accessorised outfits and models paced the floor in an act of impatience. 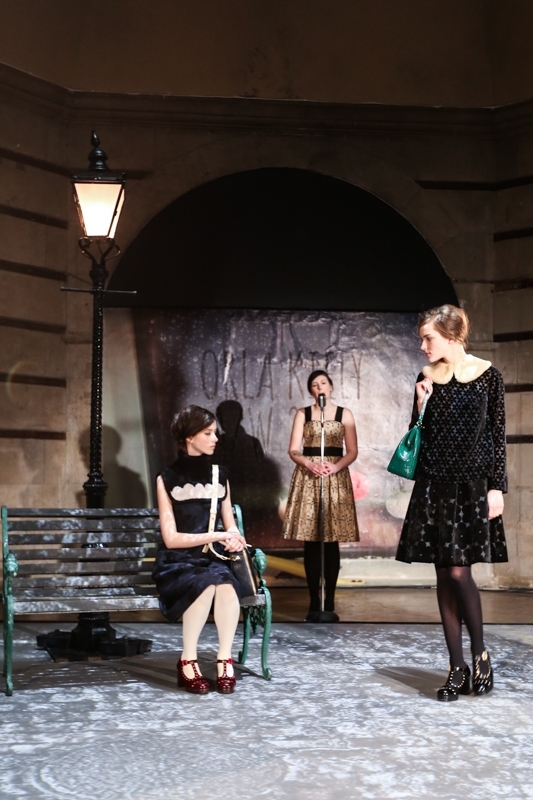 One beauty took a seat on the bench whilst her legs fidgeted; she stood up again to pace once more. 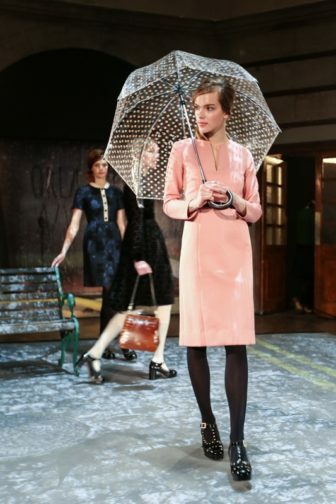 It was an intriguing presentation, which captivated the audiences and the atmosphere was enhanced when a singer took to the floor to sing a rendition of singing in the rain. 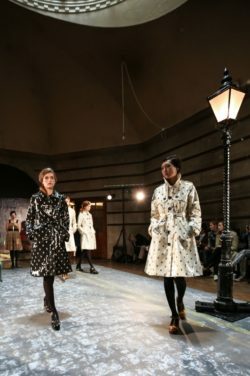 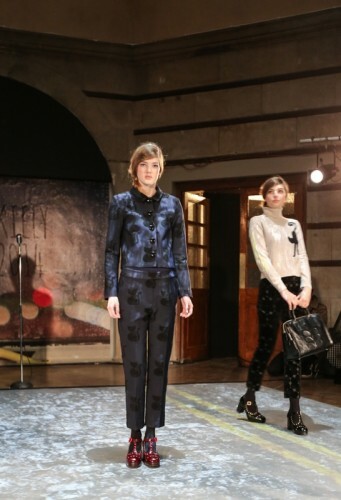 The saying “it’s raining cats and dogs” rang true as cat prints were heavily featured throughout the presentation – on a cream sweater, a pretty navy dress with cream coloured colour and button panel, and a suit. 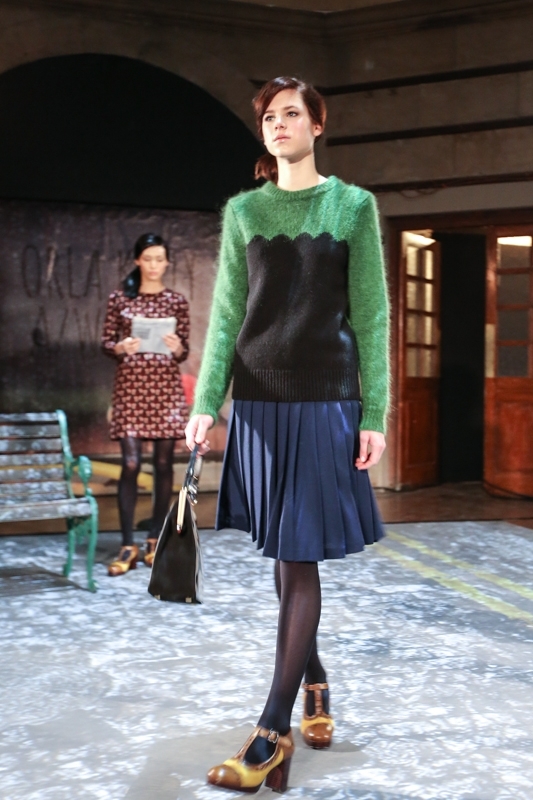 An adorable black puppy also accessorised a model garbed in a grey coat, white tights and ox blood Mary Janes. The canine theme was noted again in an endearing dog-faced handbag. And let’s not forget the shoes, adorable Mary Jane’s clip-clopped throughout the setting; some embellished with prints and others simple but sporting chunky buckles and heels. 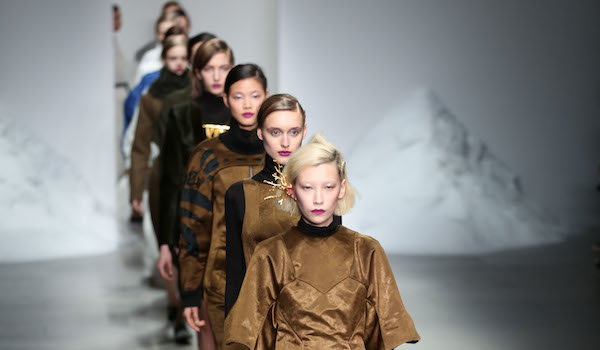 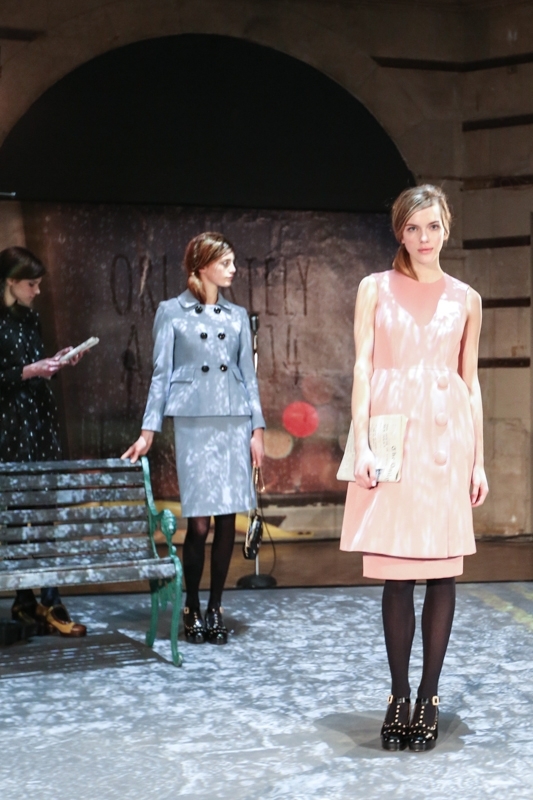 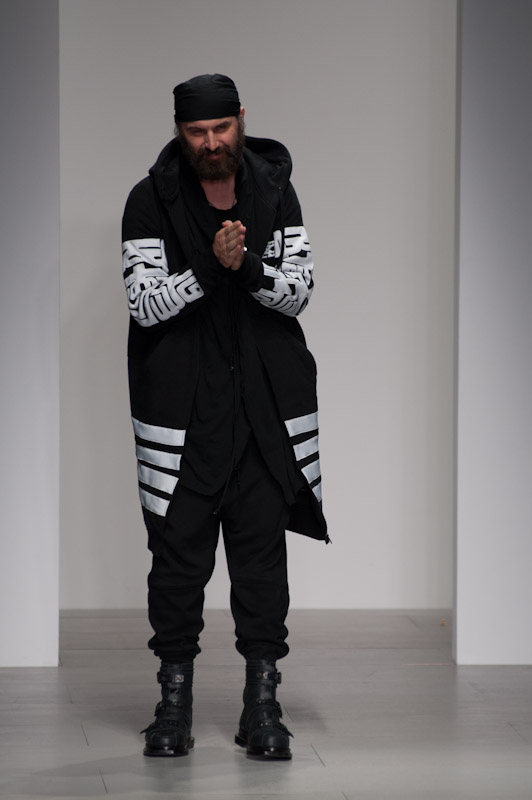 The presentation closed with a parade of PVC cat printed trench coats in black and white. 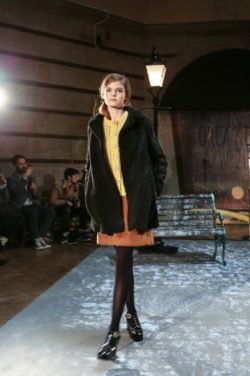 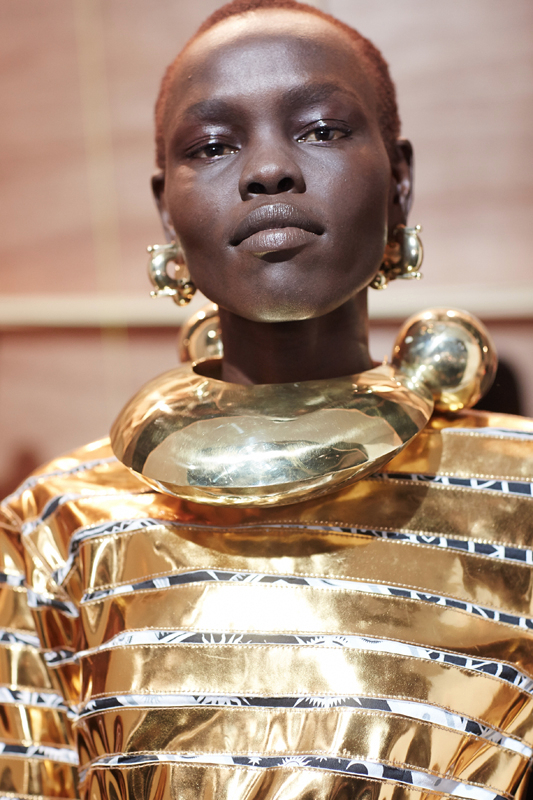 Overall, Kiely showcased a fascinating performance, which highlighted her flair for evoking a sense of nostalgia through her fabulous retro designs.